Carlos Sosa, aka DJ SNEAK is from Chicago. He started producing house music in 1992, with the creation of his first record label DEFIANT. He was very influenced by Farley Jackmaster Funk, Ralphi Rosario, Steve Hurley, etc. His first release was Sneaky Traxx. It sounds different from other house music productions. Sneak developped his own style, a fat beat with a repetitive but hypnotic sample. During the same time he improved his DJing skill and mix in some local clubs. While he worked at a local store called "Gramophone records", in 1994, Sneak met Cajmere (Cajual, Relief). Cajmere released some of Sneak's best tracks and helped him to get an international recognition, then he started mixing all over the world. In the same year, Sneak's revolutionized House Music with his new sound and his use of filters. This mix between repetitive rhythms and filtered melody was never heard before. This style has influenced many of actual producers. 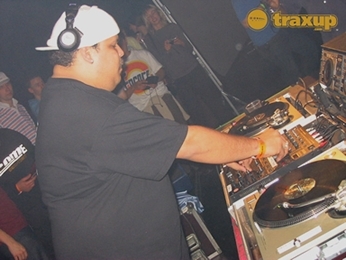 One of the famous DJ Sneak's tracks is certainly "You Can't Hide From Your Bud" on Classic Music Company, that samples Teddy Pendergrass' "You Can't Hide From Yourself" track. This Disco Filtered piece of music is now a classic track that everybody has heard one time at least. With this track, Sneak proved that Chicago is definately the center of House Music. In 2001, Sneak launched a new record label : MAGNETIC RECORDINGS. This label is oriented to tribal house tracks and filtered disco house, it's simply the best Sneak's Style. In 2002, he launched another new record label : OOMPH dedicated to the dance floor. The first release under the name of GROOVE SOURCE is very groovy, funky and ... fresh. In the same year Sneak produced another famous track with his friend Bear Who? that will be played all over the world by a lot of Djs and broadcasted massively on the electronic music radios, this track is "Fix My Sink". Today, Sneak keeps producing good house music as in his beginnings on MAGNETIC RECORDINGS and he's not ready to stop. A chance for us.